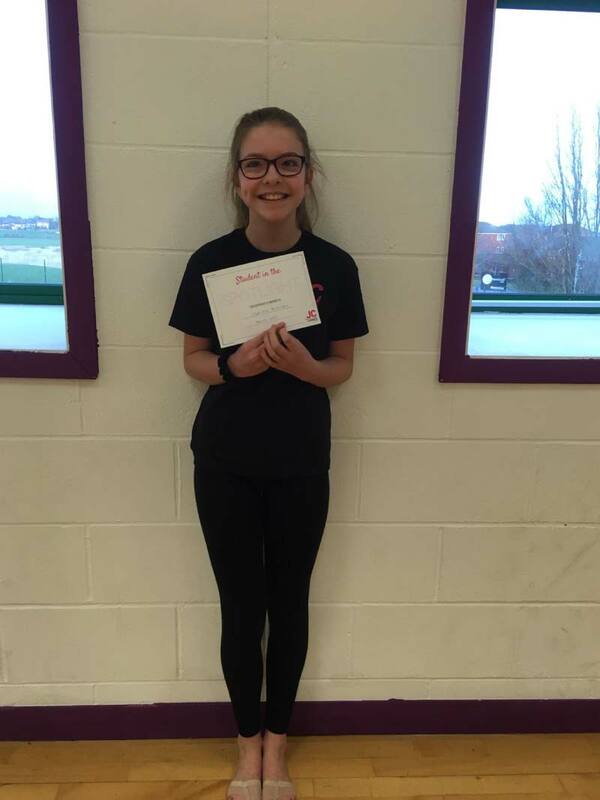 January 2019 Student in the Spotlight … Lydia! 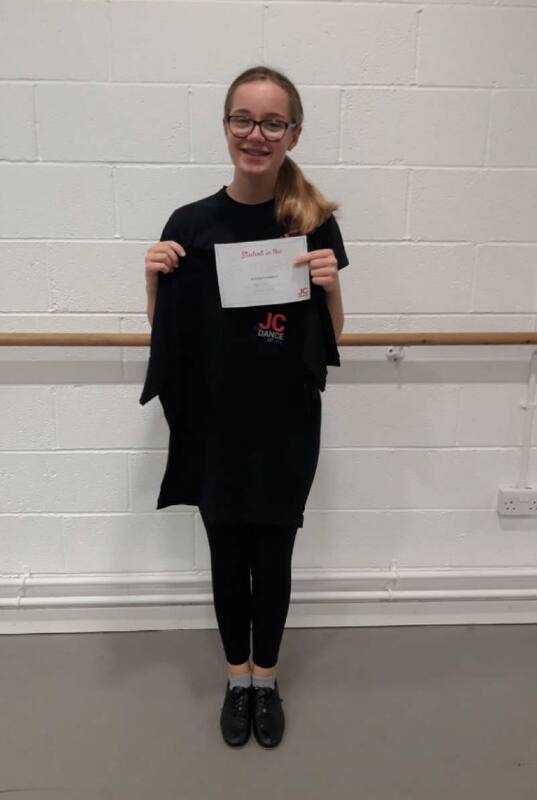 Lydia has been attending JC Dance since she was 2 and attends Ballet, Modern and Tap classes. 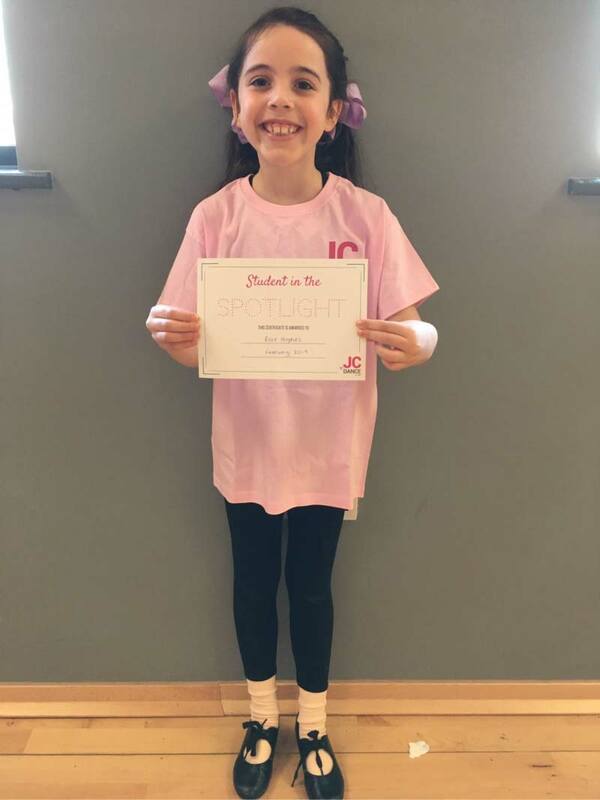 Lydia has been awarded Student in the Spotlight because she always has such energy in class! She is happy student who loves music and dance, has a great memory and tries very hard. 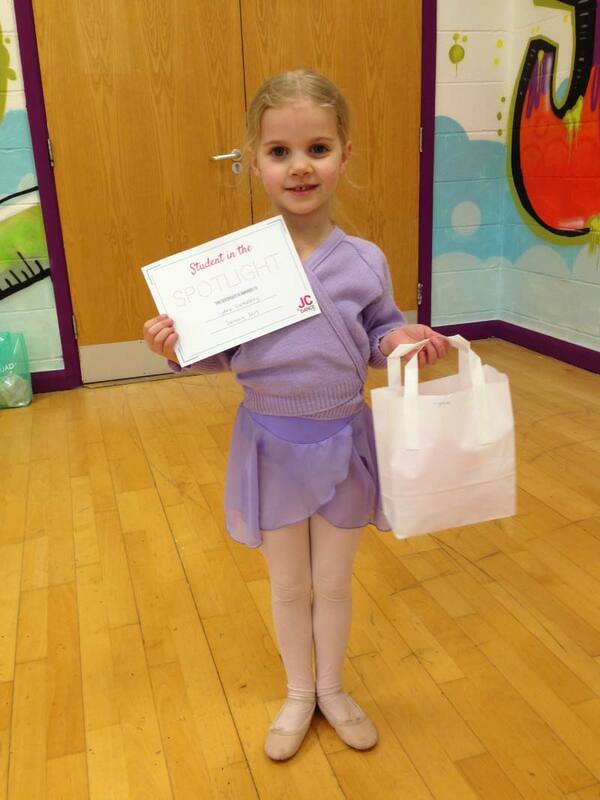 When asked what her favourite thing about dance was Lydia replied … Learning all the different moves! … Well done! October 2018 Student in the Spotlight … Alex! Alex has been dancing at JC Dance for 7 years and attends Modern and Tap classes. She is always pleasant, polite and hardworking in class and has a fab memory ! For these reasons she was nominated by Clare. When asked what her favourite thing about dance was , Alex replied “The excitement of shows and live performances”. Well done Alex!